We’ve been settling into marina life, which sounds like it would be all kinds of fun, but it’s not too great. The tap water in Opua is chlorinated, which would do bad things to our watermaker if we used it to flush the system, so we opted not to fill our tanks. That means we are conserving water more than usual by using the marina showers and toilets as much as possible. The showers here are cold less you pay $2NZD per shower, so we mostly just used the cold water. Combine that with a cold walk back to the boat and brrrr! At least there was a single bathroom/shower down by us so we didn’t have to walk all the way back to the main area. Opua is much tinier than I thought it would be. It’s got a large marina with several marine shops, two chandleries, a general store, a cafe (only open for lunch) and a yacht club (only open for dinner). The Opua General Store is over 100 years old, and welcomes cruisers to Opua with a free loaf of fresh baked bread. The groceries are probably a bit on the expensive side, but it’s convenient to buy food for jug a few meals. For bigger shopping, get a car to Paihia or order delivery from Countdown. Some treats for us were the fresh produce; locally grown strawberries and avacados available. Plus, the lamb here costs the same as the chicken breasts! I love lamb!! We stayed on the dock so we can take advantage of easily getting on and off the boat. Tuesday we dropped our torn spinnaker off at the Doyle sail loft to see about a repair. I did 7 loads of laundry (washing all towels, clothes from the trip down, and two sets of sheets). Normally we don’t wear that much clothes, but because of the chop, Starry Horizons was covered in salt and therefore our clothes got covered in salt. David gave Starry Horizons a really good scrub down with the dock water on Monday, and Tuesday he polished all the stainless and removed rust spots. I pulled out our bikes and checked them over, taking them for a spin. We will definitely be using our bikes while in NZ. One of our projects for cyclone season is to sort through all of our stuff and get rid of things we don’t feel we need after 2 years of cruising. So we’ve been pulling stuff out of lockers and sorting through items, putting a few up for sale. Of course, Starry Horizons is going to be sparkly clean when we leave her so I’ve been deep cleaning the inside. Don’t worry, we’ve been having plenty of fun too. On Saturday Lewis and Alyssa from Quixotic popped by with Thanksgiving day left overs and a bottle of bubbly to celebrate our safe passage. The next morning, we met up with them and walked the 2 hours from Opua to Paihia. It was a beautiful coastal trail walk. Kyle, our friend who visited us in Fiji, has a friend Sarah who has been backpacking around Asia and NZ since February. Coincidently, Sarah has a work visa and decided to settle down in Paihia for a few weeks and work, so she met up with us in Paihia and we all went to lunch at Charlotte’s. Charlotte’s is named after the Charlotte Badger, a woman who was convicted of petty theft in the UK, and during her servitude in Australia, helped mutany a vessel named Venus. Venus turned towards the Bay of Islands, and rumor has it Charlotte took up with a Maori chef and become one of the first white woman in NZ. The food was good, though the portions were small. Lewis had wandered away so it was just David with the girls for the photo! Afterwards, we grabbed ice creams at Cellini’s and sat in the sun at the park. One we had a good sugar high going we split up. David, Sarah, and I took a long walk through the small town and met back up with Lewis and Alyssa at a bar called Alfresco’s, where we had happy hour drinks and listened to one of Sarah’s friends sing. 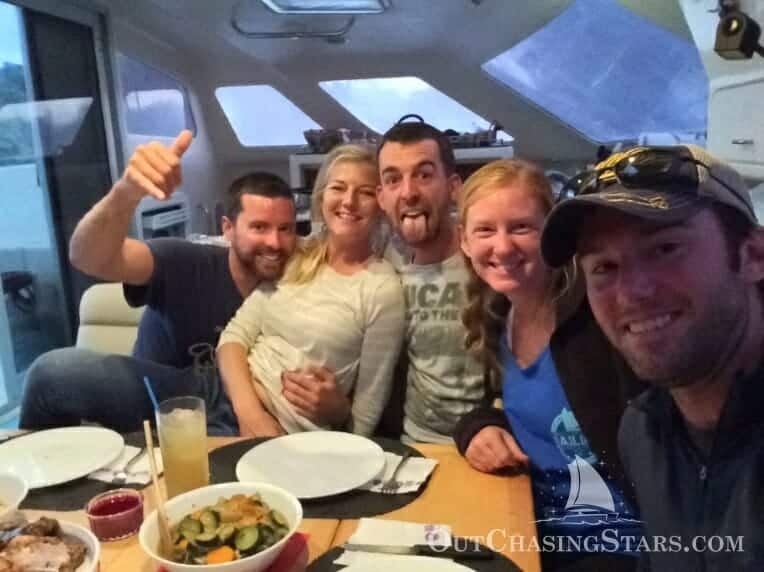 After a few drinks we split with Sarah to head back to Opua. It was a $20 NZD taxi ride (not too shabby split between 4 people). We went to the yacht club to pop into a party for our friends Mark and Amanda on Balvenie, to celebrate the end of their 14 year circumnavigation. They’d strung up all the flags in their rigging, it was super cool to see. Hopefully that’ll be us someday! There, we met up with Jose on Carthago and the five of us decided to pool resources (aka booze and food) and have dinner on Quixotic. That was quite a Sunday, with a two hour walk, exploring a new town, and a plethora of adult beverages. Monday morning, despite buckling down on projects, we still got to have a great time hanging out with Sarah. She walked over from Paihia in time for lunch, and we chatted while I worked around Starry Horizons. 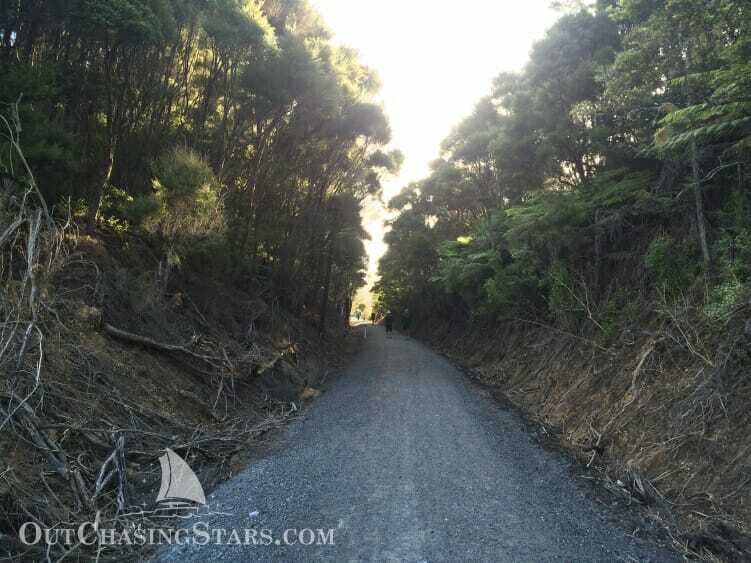 That evening, the Bay of Islands Hash House Harriers invited cruisers (via the morning net) to participate in their hash. Sarah and I met several cruisers and local hashers at the Opua cycle trail, south of the marina. This trail is an old railway which is being converted to a hike and bike path. Once the path is completed, it’ll span across the width of NZ, ending in Horeke, which has a bay open to the west coast. Most of the local hashers were either walking or biking (crash hash) but a few more cruisers were running. Our friends Simon, Marg, and Lila (from Privateer) participated. We ran 3 km and then turned around and caught up with Lila, who at 7 months pregnant was walking. Afterwards one of the hashers brought out chips and drinks. We paid $3 each for a beer or you could pay $10 for dinner on the grill. At one point, we had a group of cruisers chatting, from about 6 boats, and realized we’d all spent Christmas in Antigua but hadn’t met! That includes Margansie, who was in Jolly Harbor for Christmas. Sometimes the world seems so small, and sometimes it’s so big. After the hash I made a nice hot dinner and Sarah stayed the night to walk back to Paihia in the morning. Tuesday night we got together with Gypsy Heart. 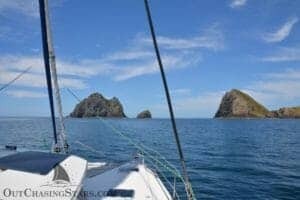 Sandy and Rankin have spent the last four cyclone seasons in New Zealand and have been cruising the South Pacific from here, so it was great to chat with them about options. Simon and Marg stopped by as well for a drink and Jose (Carthago) stopped by for a few minutes to say goodbye. Jose was off for Whangarei and flew out Saturday, and isn’t sure what’s next for the Carthago crew, so we don’t know when we will see him again! Wednesday night we met up with Blue Summit, Kate and Steve, who we originally met back in Guadeloupe. 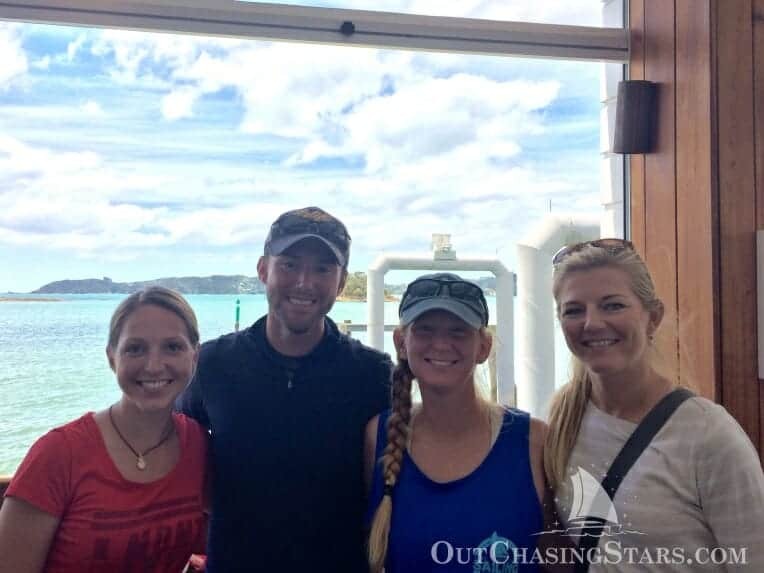 We saw them again briefly in Fiji, so it was good to catch up after almost a year! We met at the Cruising Club for drinks. After Kate and Steve left, Alyssa and Lewis joined us with their friends Brian and Liz, who are visiting. Brian and Liz bought The boat Lewis and Alyssa sailed from San Francisco to Mexico, and currently live aboard in Mexico. Then we were joined by the crew of La Vagabond. A great last night in Opua! Thursday morning we took off for points south! So happy to hear you were able to meet up with Sarah and had a great time. Great pics! You guys are the best! 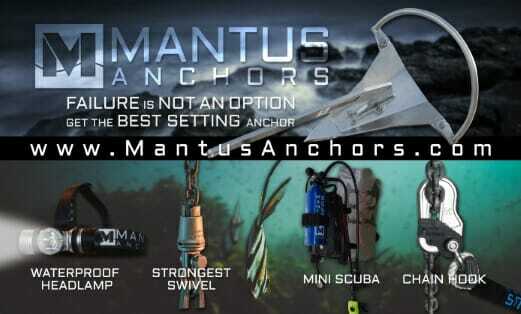 Fourteen years ti circumnavigate! Don’t get any ideas! Unless you want me to join you full-time when I retire. We are having leg of lamb while you are here. Love your updates, keep them coming! A great way to cook lamb if you don’t have a spit, my wife found out, is to use a crock pot and slow cook it all night. FANTASTIC! That sounds great! I think you could probably use a pressure cooker too to keep the lamb really moist.